POWER CORD is included where applicable. Warranty: 1 Year. Connector Size: 7.4 x 5.0mm. DC Output: 19.5V 3.34A. AC Input: 100~240V / 50-60HZ. Compatible Product LineFor HP Pavilion. 1 X AC Adapter. Includes power cable. DC connector size: 4.5 3.0mm. Screen Size12.1". Type: Laptop AC Adapter. Adapter Output: 19.5V 1.2A. Adapter Input: 100-240V~1.5A 50-60Hz. Laptop adapters from various other adapter manufacturers can be used as long as the specifications are similar to the existing adapter. Model: Dell PA-2E Family HA65NE1-00. Pin: 7.4 5.5mm. The adapters are new and in perfect working condition. 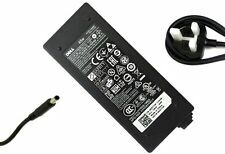 GENUINE DELL LA65NS2-01 PA12 FAMILY. IF OUT SIDE THE. SORT OUT THE ISSUE STRAIGHT AWAY. USED IN GOOD CONDITION HOWEVER. AS IM WILLING TO 100% COMMUNICATE AND. UK MAINLAND. UK MAINLAND ONLY. DOES HAVE MINOR MARKS NOTHING MAJOR. Model DA180PM111. This is a genuine Dell ac adapter. -Precision M4600, M4700, M4800, 15 (7510). -Inspiron One 23 (2350). 90W 19.5V 4.62A. 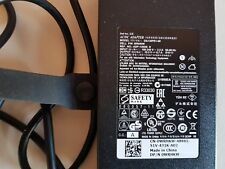 Genuine Dell Laptop Adapter. with power lead. P/NO; 928G4. OUTPUT: 19.5V--3.34A. USED IN GOOD CONDITION. Power: 90w. POWER CORD is included. AC Input: 100~240V / 50-60HZ. Colour: Black. DELL E7440 E7240 E5430 E5420 E7250 E7450. Manufacturer Part Number JNKWD. Latitude E7240. Manuf Part# JNKWD. Latitude E7440. Latitude E5430. Dell Latitude Notebook PCs Dell Inspiron Notebook PCs. Type: Laptop AC Adapter. Adapter Output: 19.5V 1.2A. Adapter Input: 100-240V~1.5A 50-60Hz. Adapter's part no. / model no. or model nos. Even though if the part nos. / model nos. 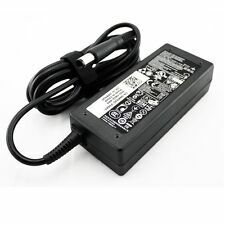 DELL 20V 2.5A AC ADAPTER PA-8, ADP-50FH. Manufacturer: Dell. Item Includes: AC Adapter. Outlet: CLOVER. Output: DC20V 2.5A. XD757 Family PA-10. Used, genuine and fully working adapter. Refer to photos. 100% Original / Genuine. 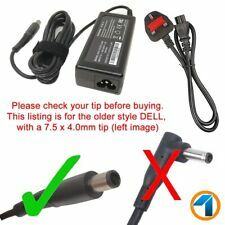 Original 65W Dell LA65NM130 AC Adapter Charger With Power Lead + Free P&P. Features & Benefits We've redesigned our adapters from wall to cable, so you can enjoy a more comfortable and consistent experience in everything you do. Neatly wrapped 3 ft power cord fits snugly around the adapter for less bulk in your bag. Note that you need power lead. Power Lead not included.